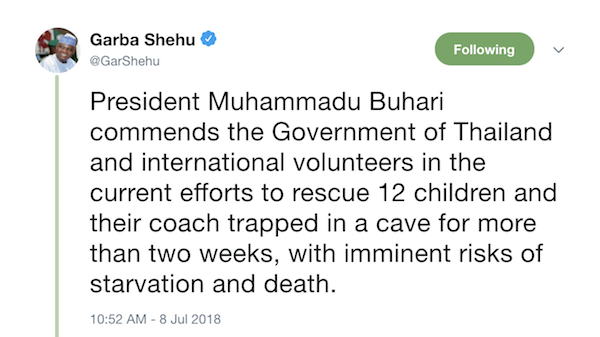 Nigerian President Muhammadu Buhari on Sunday commended the Government of Thailand and international volunteers for their role in rescuing the 12 soccer children and their coach trapped in a cave for more than two weeks. So far 4 boys have been rescued, with high hopes of rescuing others by the end of Monday. 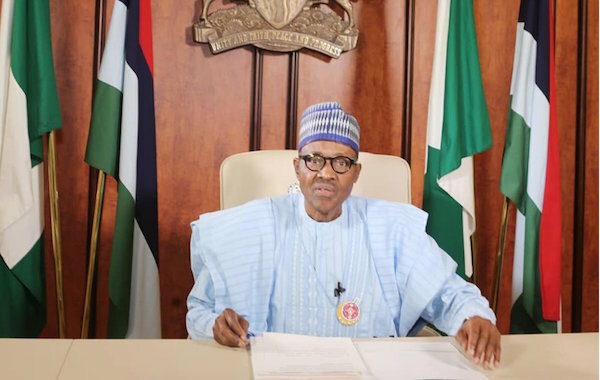 Below is the statement from the presidency, commending the government of Thailand.